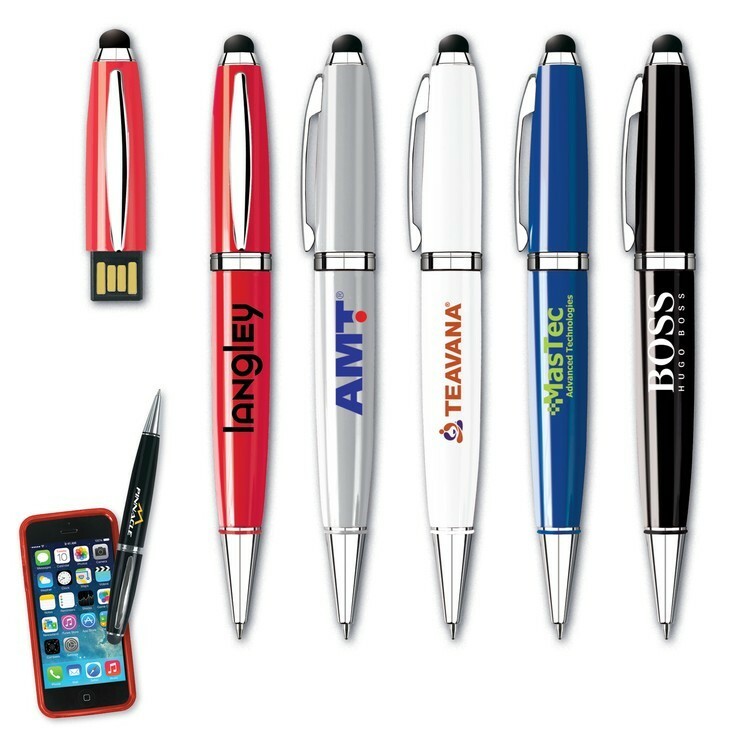 USB Flash drive, pen and capacitive touchscreen stylus. Drive size options from 2 GB to 16 GB. Black Easy Glide™ ink. Hi-Speed USB 2.0. Free data pre-load up to 50MB.